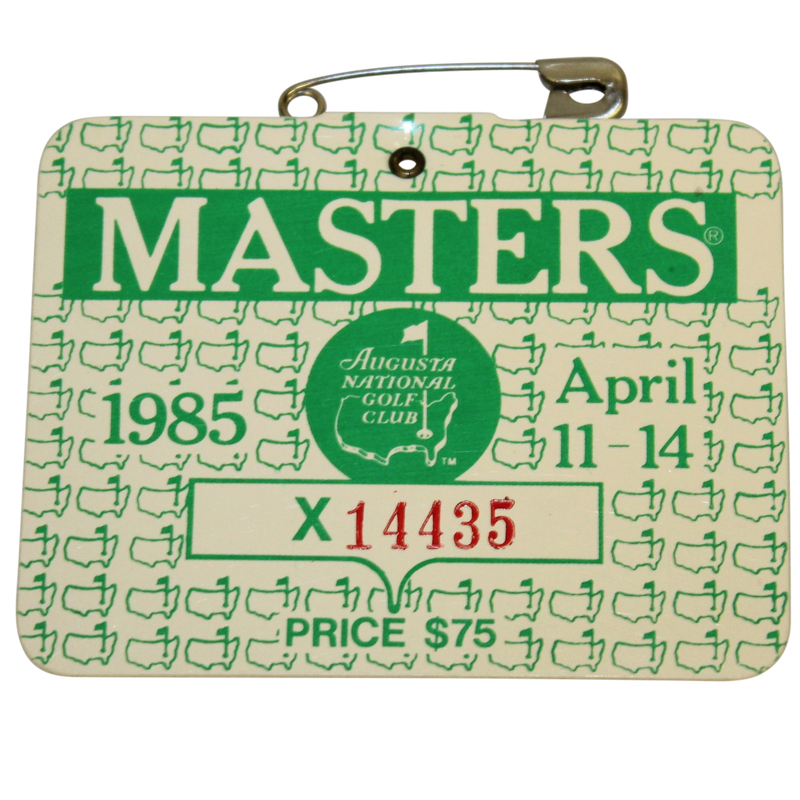 Here we have a 1985 Masters Tournament series badge #X14435. 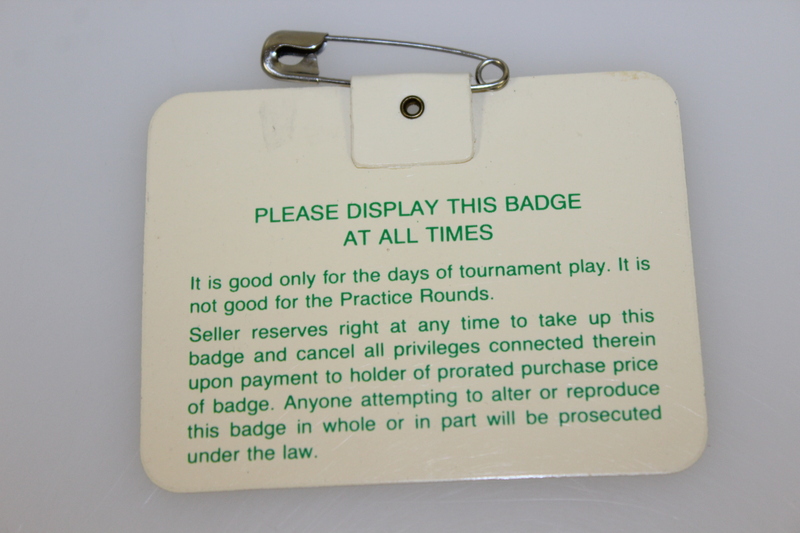 The badge comes in great condition with the original pin intact. Bernhard Langer won his first Major championship at the 1985 Masters, later returning to claim another Green Jacket in 1993.